Looking to work in an exciting, dynamic industry? 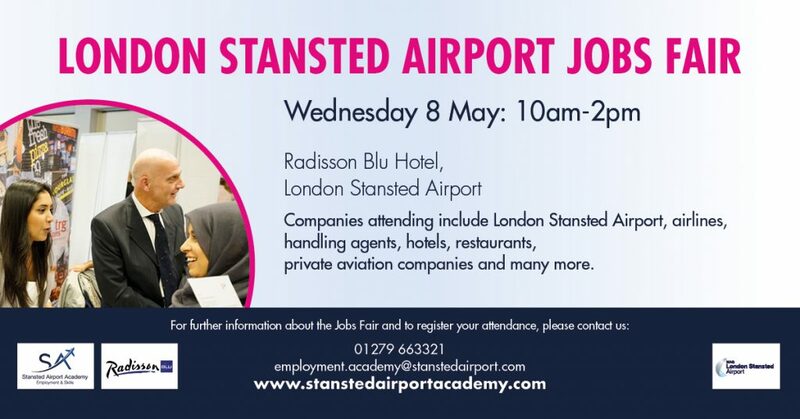 Learn about the wide range of employment opportunities on offer at London Stansted Airport, at the Stansted Airport Jobs Fair on 8th May from 10am at the Radisson Blu Hotel Click HERE to book. Check if your vehicle is compliant. For more information, visit our ULEZ web page. A40 at Acton – From 8 April to late 2019, the A40 will be reduced from three lanes to two lanes for westbound traffic, 24 hours a day, and the speed limit will be reduced from 40mph to 30mph for safety reasons. This is for works to construct walking and cycling improvements between Acton and Wood Lane. Drivers should expect delays while travelling westbound, especially during peak periods (weekdays 14:00 to 18:00). Please consider re-timing your journey outside afternoon peak periods. For more information, visit our A40 travel advice page. Highbury Corner – From 20:00 on Friday 5 until 05:00 on Monday 8 April, A1 Upper Street will be closed to all traffic at Highbury Corner. The A1 Holloway Road will be southbound only while carriageway resurfacing works are completed. These works are to prepare for the switch to two-way traffic at Highbury Corner on the Easter bank holiday weekend. If you would normally use the A1 to travel into / out of central London, using the A5, A10 or A41 could mean a quicker journey during the works. For more information, visit our Highbury Corner travel advice page. Road updates Rotherhithe Tunnel – Cameras are now in place to enforce restrictions 24/7. Any vehicles entering the tunnel that do not comply could be fined up to £130. Vehicles more than two metres (6’6″) wide, two metres (6’6″) high or that weigh more than two tonnes (maximum gross weight) are not permitted. This is to ensure safety and reduce risk of collisions. For more information, visit our Rotherhithe Tunnel page. A501 Euston Road – From 22:00 until 05:00 on both Monday 18 and Tuesday 19 March there will be closures in both directions on A501 Euston Road at the junctions with Judd Street and Midland Road. These junctions will be closed eastbound on Monday 18 and closed westbound on Tuesday 19. Lane closures will be in place up to two hours before these directional closures. Traffic will be diverted but delays are expected. You are advised to seek alternative routes where possible. These works are to complete the Judd Street cycle route scheme. Marylebone – From 09:30 on Friday 15 until Monday 18 March, lane three westbound on Marylebone Road will be closed between Luxborough Street and Chiltern Street. This is for Cadent Gas works. Westminster – From 11:00 until 16:00 on Friday 15 March, there may be various road closures or traffic holds between Trafalgar Square and Parliament Square via Whitehall. This is due to a demonstration. Central London – From 12:00 until 16:00 on Saturday 16 March, there will be two marches and a demonstration through central London, both ending at 16:00. Up to 3,500 people will form up at Park Lane and at 13:00 will march to Richmond Terrace via Hyde Park Corner, Piccadilly, Haymarket, Pall Mall, Cockspur Street and Whitehall. At the same time, up to 1,000 people will march from Paddington Green to Richmond Terrace via Harrow Road, Edgware Road, Marble Arch, Oxford Street, Regent Street, Haymarket, Pall Mall, Cockspur Street and Whitehall. Both marches will end at approximately 14:30, and a rally will be held at Richmond Terrace until 16:00. Some bus routes will be diverted along the marching route or stop short of their destination. Twickenham Stadium – From 16:00 until 22:00 on Saturday 16 March, Twickenham Stadium will host the Six Nations rugby match between England and Scotland, with kick off at 17:00. Large crowds and increased traffic levels are expected in the Twickenham area. Roads likely to be affected include the A316 Chertsey Road, all roads leading to Twickenham station and roads surrounding the stadium. Westminster – From 07:00 until 22:00 on Sunday 17 March, there will be various road closures and restrictions across the Westminster area. From 07:00 until 22:00, the east side of Trafalgar Square will have a single lane closure and Pall Mall East will be closed. From 09:30 until 14:30, Piccadilly eastbound will be closed between Hyde Park Corner and Half Moon Street. From 11:30 until 20:00, Piccadilly, Piccadilly Circus, Shaftesbury Avenue westbound from Cambridge Circus, Haymarket, Regent Street St James’s, Waterloo Place, Pall Mall, Cockspur Street, Trafalgar Square and approaches, Whitehall and Whitehall Place will be closed. This is due to the St Patrick’s Day Parade. Fulham – From 08:00 on Monday 18 until 18:00 on Friday 22 March, Fulham Palace Road will be closed in both directions at the junction of Beryl Road near Charing Cross Hospital. A contra-flow will reduce the carriageway to a single lane in both directions. This is due to Thames Water works. West End – From Monday 18 March to Thursday 11 April, sections of Tottenham Court Road will be reduced to one lane while carriageway resurfacing works are completed. These works are to prepare for the switch to two-way traffic on Tottenham Court Road on the Easter bank holiday weekend. Sections of the new southbound lane on Tottenham Court Road will be for buses and cyclists only following the traffic switch. For more information, visit our travel advice page. Old Street – From Wednesday 20 March until mid-May, work to remove four traffic islands on the approach to the roundabout will take place every night between 20:30 and 05:30. This is in advance of main works to restore two-way traffic to Old Street, which are scheduled to start in late May. Delays are expected on approach to the roundabout. From 8 April 2019, vehicles driving in central London will need to meet new emission standards set by the Ultra Low Emission Zone (ULEZ). The standards will be Euro 4 for petrol vehicles and Euro VI for diesel vehicles. The ULEZ will operate 24 hours a day, 7 days a week, every day of the year, within the same area as the current Congestion Charging Zone as well as the Congestion Charge and London-wide Low Emission Zone. It will replace the Toxicity Charge. This follows action taken by the Mayor on tackling the most polluting cars. For more information, visit our ULEZ web page. Baker Street – From 20:00 on Thursday 21 until Sunday 24 February, Gloucester Place, Baker Street and sections of Oxford Street and Park Road will progressively close before re-opening to two-way traffic. Delays are expected on the A5 and A41 in both directions. You will not be able to travel southbound on Park Road from the junction with Gloucester Place. Use alternative routes where possible and leave extra time for your journey. You are advised to schedule local deliveries outside of the closures as access will be limited. For more information, visit our Baker Street two-way works page. Rotherhithe Tunnel – Cameras are now in place to enforce restrictions 24/7. Any vehicles entering the tunnel that do not comply could be fined up to £130. Vehicles more than two metres (6’6″) wide, two metres (6’6″) high or that weigh more than two tonnes (maximum gross weight) are not permitted. This is to ensure safety and reduce risk of collisions. For more information, visit our Rotherhithe Tunnel page. North Greenwich – Until Monday 11 February, increased traffic levels are expected around Millennium Leisure Park, with Saturday 9 and Sunday 10 expected to be particularly busy. We are closely monitoring the network for congestion and will implement strategies to manage traffic flow if needed. Roads likely to be affected include the A102 Blackwall Tunnel northbound and southbound, major junctions on Blackwall Lane and Woolwich Road and the Bugsby’s Way dual carriageway. Use alternative routes and check before you travel for a quicker journey. Kensington – Until 20:00 on Monday 11 February, Kensington Road will have various restrictions and closures in both directions around Kensington Gore, Princes Gate, Queens Gate and Prince Consort Road for the EE British Academy Film Awards. Prince Consort Road will also be closed. Westminster – From 07:00 until 20:00 on Sunday 10 February, there will be extensive closures in the Westminster area. From 07:00, Pall Mall East, Duncannon Street (between St Martin’s Place and Strand), Charing Cross Road slip (not main Charing Cross Road), Dean Street and Wardour Street (between Shaftesbury Avenue and Winnett Street) will be closed. From 08:00, Charing Cross Road will be closed in both directions between St Martin’s Place and Shaftesbury Avenue and will be closed southbound between Denmark Street and Shaftesbury Avenue. Shaftesbury Avenue will be closed in both directions between Charing Cross Road and Piccadilly Circus, and also westbound between St Giles High Street and Cambridge Circus. All roads within the Chinatown area will be closed. From 09:00, High Holborn and Hyde Park Corner junction eastbound on to Piccadilly and Piccadilly underpass may be closed if necessary. Trafalgar Square will be accessible via Cockspur Street, Whitehall, Northumberland and Strand. Cockspur Street eastbound bus only section will be suspended to allow general traffic use. Buses will be on diversion or curtailment. This is due to an event. Wembley Stadium – From 12:30 until 16:00 on Sunday 10 February, Wembley Stadium will be hosting the Premier League football match between Tottenham and Leicester, with kick off at 13:30. Large crowds and high traffic levels are expected in the Wembley area before and after the game. Roads likely to be affected include the A406, A1, A40, Harrow Road, Wembley High Road and roads around the stadium. Central London – From 16:00 until 18:00 on Sunday 11 February, there may be delays in the Blackfriars and London Bridge areas. This is due to a demonstration. Central London – From 13:00 on Monday 11 until 16:00 on Friday 15 February, there may be delays in the Tottenham Court Road and Euston Road Parliament Street areas. This is due to a demonstration. We have now developed our final proposals to introduce a new Direct Vision Standard (DVS) and Safety Permit for Heavy Goods Vehicles (HGV) following two previous phases of consultation in 2017 and 2018. We are now seeking your views on these proposals with a particular focus on the HGV safety permit processes. This includes the process of obtaining a vehicle star rating, the safe system requirements, the permit application and administration process and the enforcement and appeals process. The proposed scheme would require all HGVs over 12 tonnes to hold a Safety Permit to enter or operate in Greater London. As part of DVS, HGVs will be rated between ‘zero-star’ (lowest) and ‘five-star’ (highest). Permits would be available from October 2019. From October 2020, zero star HGVs would be banned unless they can demonstrate they operate in compliance with other measures in a defined safe system to minimise their risk to vulnerable road users. You have until 18 February 2019 to let us know your views. You can also write to us at FREEPOST TFL CONSULTATIONS, or by email to consultations@tfl.gov.uk. 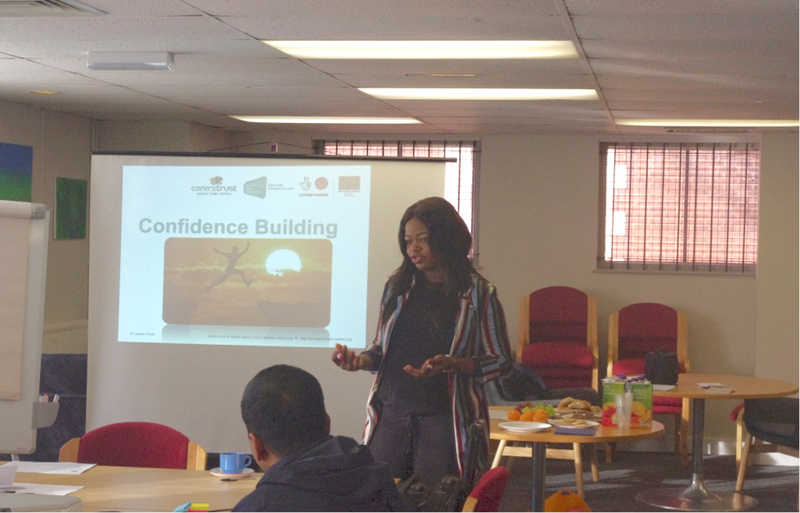 I would like to personally invite you to attend our complimentary event for local businesses at 9.30am on Wednesday 23rd January 2019, in conjunction with our partner “Redbridge Chamber of Commerce”. 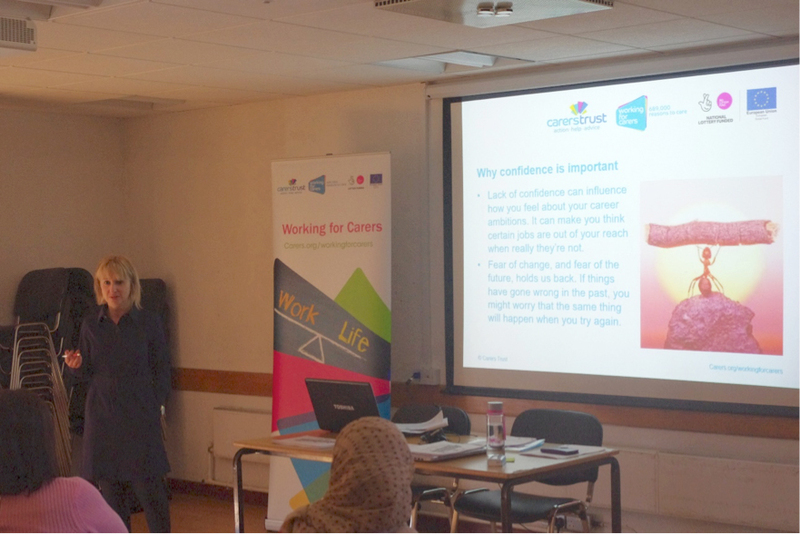 Join our expert HR and health & safety guest speaker from Peninsula at this brief but invaluable event, which will enhance the way you run your business by giving you the knowledge and advice to resolve any employee challenge. Parking details for this venue: give your registration number to reception, we will cover the cost of parking. London Councils with the London Chamber of Commerce run an annual business survey. 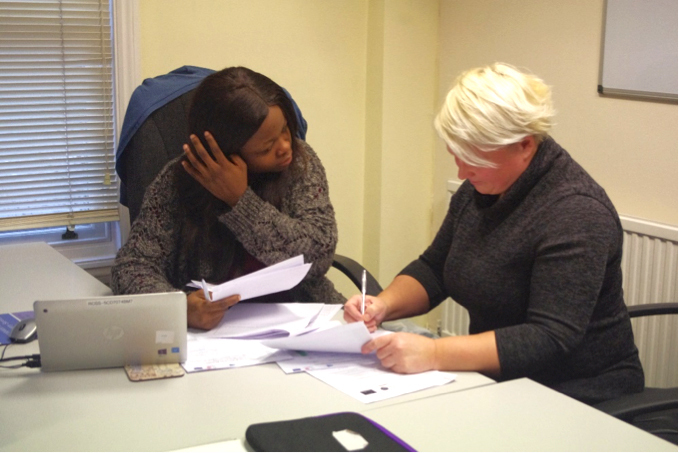 This year’s survey focused on skills, employment and apprenticeships. We are running two subregional breakfast events to discuss the findings, bring together business, colleges and councils. There are increased restrictions for goods vehicles at Rotherhithe Tunnel. The maximum vehicle height is 2 metres and the weight limit is 2 tonnes. The width restriction is 2 metres (or 6’6”). Drivers of goods vehicles should use Tower Bridge or Blackwall Tunnel, both of which are outside the Congestion Charging zone. For more information, check out our Rotherhithe Tunnel page. From 20:00 on Thursday 1 November through to early December, speed limit restrictions will be in place on the A316 Great Chertsey Road (on the Hope and Anchor flyover over the Apex Roundabout). Heavy goods vehicles will also be on signed diversion in both directions via the exit slip to Apex Corner and back onto the A316 via the entry slip. This is while essential maintenance works are carried out on the flyover. From 11:00 until 16:00 on Saturday 3 November, large pedestrian numbers are expected between Euston Road and Downing Street / Parliament Square, via Upper Woburn Place, Southampton Row, Aldwych, Strand, Trafalgar Square and Whitehall. This is due to a demonstration. From 12:00 until 19:00 on Saturday 3 November, there will be increased traffic levels and pedestrian numbers around Twickenham Rugby Stadium, due to the rugby match between England and South Africa. Roads likely to be affected include the A316 Chertsey Road and all roads leading to Twickenham Station and around the stadium. London Road, Whitton Road and Rugby Road will be closed before and after the match to assist with crowd movements. Diversions will be in place in the Twickenham area. From 09:00 until 17:00 on Sunday 4 November, large pedestrian numbers are expected at Marble Arch, Park lane and Curzon Gate. This is due to a march at 13:00. From 17:00 until 23:59 on Tuesday 6 November, large pedestrian numbers and increased traffic levels are expected in the Wembley area. Roads likely to be affected are the A406, A1, A40, Harrow Road, Wembley High Road and roads around the stadium. This is due to a football match between Tottenham and PSV Eindhoven. in Sir James Hawkey Hall, Broomhill Road, Woodford Green IG8 0BG. Musical Director and Pianist Tom Carradine will be entertaining us on the old Joanna and inviting us to join in with Cockney songs from the music hall era. If you haven’t heard Tom perform before, you are in for a real treat and a fantastic night of entertainment. Tickets for the event are £18 and include either fish and chips or pie and mash (with a vegetarian alternative). Bring your own drinks and nibbles. Tickets are likely to sell out very quickly, so book now and don’t dilly-dally! All proceeds go to the Mayor’s chosen charity, ELHAP, which is an amazing local charity supporting disabled children and young adults.